DaVinci Horse Lovers! Prints On Sale for Holidays! — Catherine Twomey LLCDaVinci Horse Lovers! Prints On Sale for Holidays! DaVinci Horse Lovers! Prints On Sale for Holidays! These highly researched, award-winning and carefully drawn pieces are in the Leonardo DaVinci style, yet are contemporary. They make a beautiful edition to any decor with their quality and elegance. The are available on a wide range of surface, from paper to canvas to metal. They can be unframed or framed, it's your choice! Thank you for your interest! Means a lot. 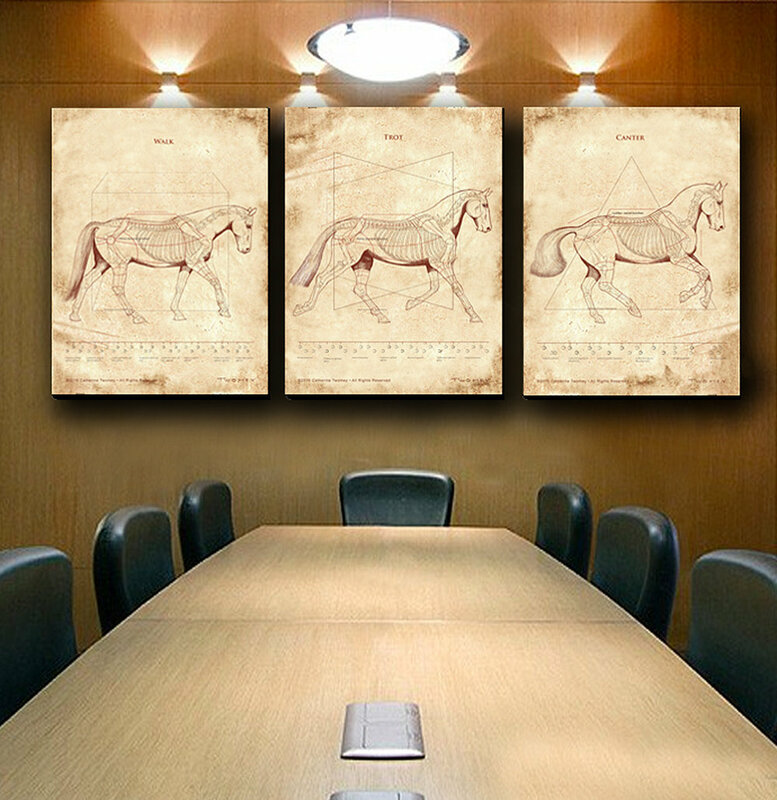 Sample of DaVinci Walk, Trot and Canter on display in a board room.